Fantastic for the whole family and children love them too, our hand-rolled artisan fruity nutty GoNuts! snacks truly 'fuel' the body when you are feeling peckish. Each ball is full of vitamins, minerals and good fats, all of which feed the body and mind ensuring you feel satisfied not only in your stomach but in your brain sensors as well. GoNuts! are a great alternative to mass manufactured confectionery and contain no dairy, gluten, refined sugars, preservatives, additives, GMOs or any other nasties. Our nutritionally-balanced GoNuts! are hand made from 100% whole ingredients and are great for delivering essential nutrients to body and mind. They are low calorie and great for vegans and vegetarians too. Our GoNuts! keep for 3 months in the firdge and can be stored in the freezer too so you need never run out again. These Chocolate GoNuts! will be a perfect substitute for chocolate bars. They come in 3 other flavours too: Cinnamon, Coconut or Vanilla. 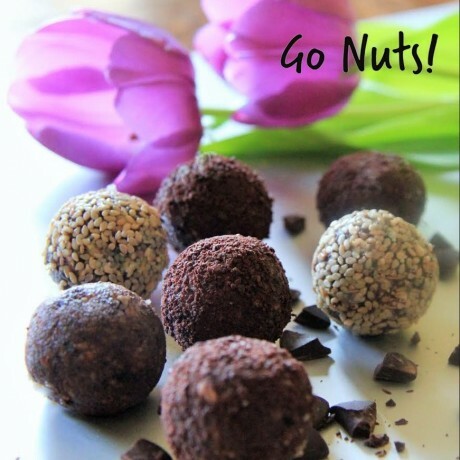 Free Economy shipping on orders combining any 3 snack balls or more! All our products contain nuts. Totally free from: refined sugars, dairy products, gluten, wheat, GM, preservatives & additives. 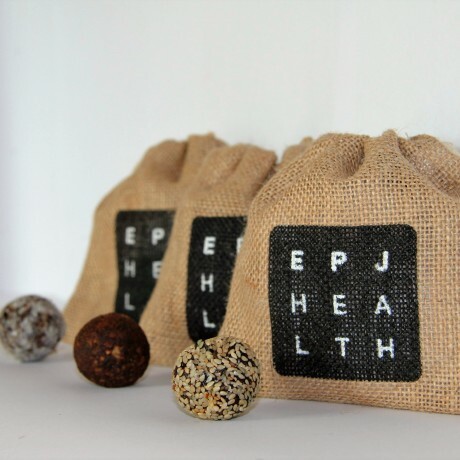 This product is dispatched by EPJ Health. This item has a shipping weight of 120g. Healthy sweet treats, snack foods, superfood greens and more, aiming to take healthy eating mainstream!